From time to time, I receive emails from a few retailers letting me know about new releases they have in stock. 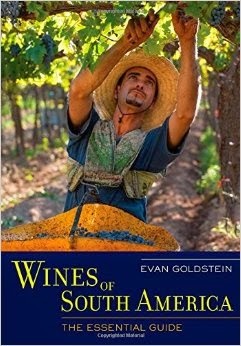 To get readers of these emails excited about how great these wines are, they include an excerpt from a leading wine "guru" along with his or her point rating. "Muller's 2011 Scharzhofberger Riesling Auslese delivers a penetrating and multifarious nose of heliotrope, lily, candied lime rind, quince preserves, white peach preserves, distilled herbal essences, marzipan and brown spices... a kaleidoscopically interactive array of those diverse and exotic elements that on the nose signaled its ripeness and botrytis enoblement." "Multifarious", "heliotrope", "kaleidoscopically"? Say what? Does anyone even know what the word "heliotrope" means? More importantly, why is a word like this being used to describe the perfumes of a wine? I mean, I guessed the writer liked the wine, but this is ridiculous. It's no wonder that so many people poke fun at wine critics and wine reviews in general. Then you have Antonio Galloni, who has essentially found a pet phrase that he loves to use again and again. That's "drop-dead gorgeous." He uses this term a lot - you could look it up. Drop-dead gorgeous - are we talking about a wine here or Angelia Jolie? Look, I've been writing about wine for more than fifteen years and I know that you can only write pear, melon and apple aromas for white wines and cherry, plum and tar for red wines so often. Thus I can understand a critic wanting to break the mold from time to time. That's fine, but talk to us in terms that first, are relevant to the wine (I don't consider, "drop-dead gorgeous" a proper term to describe a wine) and secondly, use words that we can understand. Yes, wine lovers, especially those searching for great wines made in limited production are intelligent people, but most of us don't use the word "multifarious" and we certainly don't talk about "an interactive array" of elements. Writing such as this, it seems to me, is all about the critic trying to impress, trying to let everyone know about his vocabulary. He's basically talking down to us, letting us know he's more intelligent than we are. Which brings me to an even more basic argument. When did the individual describing the wine become more important than the wine itself? It's bad enough that too many people learn about wines with scores - basically the ultimate sound bites for wine. But writing such as this? It helps no one. Earlier this year, I tasted through several excellent wines from the Robert Mondavi Winery in Napa Valley and found that this classic estate is doing just fine, thank you. I thought I would also sample wines from another historic Napa Valley estate, Beaulieu Vineyard, to learn about the status quo of their most famous offerings, their Cabernet Sauvignons. When you write the history of Napa Valley as well as its Cabernet Sauvignon - the two are forever intertwined - a large part of the story is Beaulieu Vineyard. Established in 1900 by Georges de Latour, the name of the estate, meaning "beautiful place" in French, was given to it by his wife Fernande. De Latour produced some of the finest Napa wines in the early 20th century and was one of the few estates to receive permission to produce wine during Prohibition (much of this was sacramental wine for the Catholic church). Arguably the most important step for BV - and perhaps for the legacy of Napa Valley as well - occurred in 1938 when de Latour went to France and hired Russian refugee André Tchelistcheff to become his winemaker. Tchelistcheff would introduce new winemaking methods in Napa Valley soon after he arrived, but it was his analysis of a special lot of 1936 BV Cabernet Sauvignon that truly set BV and Napa Valley on a new journey. The winemaker thought so much of this wine, sourced from de Latour's finest plantings, that he had it bottled separately, identifying the wine as Beaulieu Vineyard Georges de Latour Private Reserve Cabernet Sauvignon. This would be the first reserve Cabernet Sauvignon produced in Napa Valley and the rest, as they say, is history. Over the years, I've had the opportunity to taste multiple vintages of this historic wine, even as far back as from the decade of the 1950s. I attended a special tasting and dinner in 2001 at the winery for what would have been the 100th birthday of Tchelistcheff (he passed away in 1994). That day I was able to taste such legendary wines as the 1946, 1953 and 1964 - that was a memorable day, I can tell you! 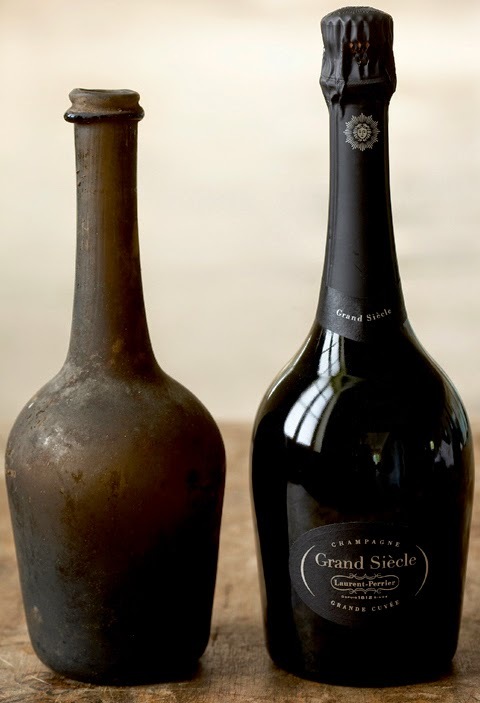 Here were wines that were anywhere from 37 to 55 years old and they were in remarkable shape. These were wines with very good acidity and remarkable balance. I didn't note the power of these wines, merely their harmony as well as beautiful varietal character. (For those interested, there are tasting notes on every vintage of this wine from 1936 to 2005 on the BV website- click on this link). 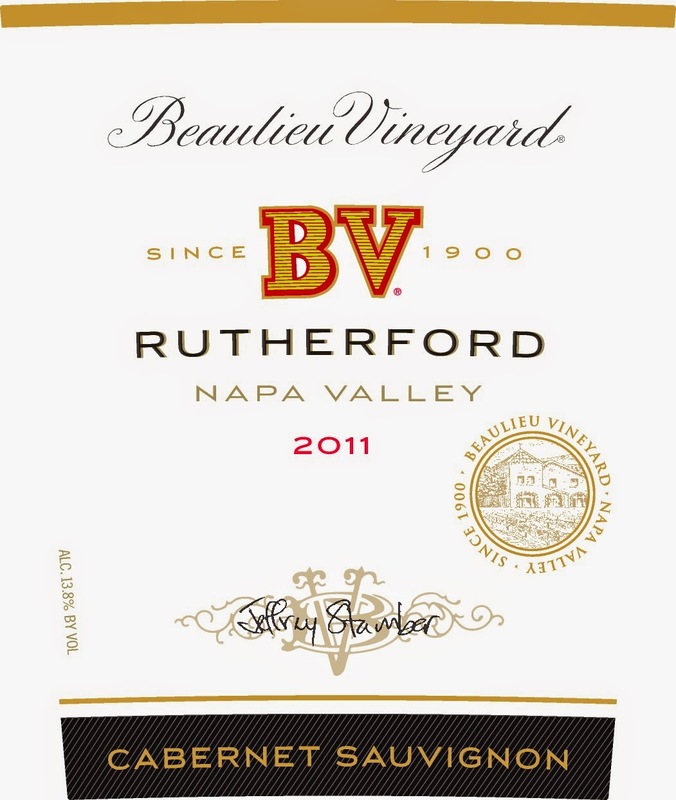 2011 BV Cabernet Sauvignon (Rutherford) - The grapes for this wine are sourced entirely from the Rutherford District in the heart of the Napa Valley, where the winery has many of its best Cabernet Sauvignon vineyards. Bright ruby red/crimson edge; aromas of ripe red cherry, vanilla and red plum. Medium-full with very good concentration. Rich mid-palate, big finish, balanced acidity and youthful tannins that are nicely styled. The wood notes are a bit strong for my tastes and the acidity seems a bit low, but a fine effort with notable varietal character. Give plenty of time - best in 7-10 years. ($28-$30). 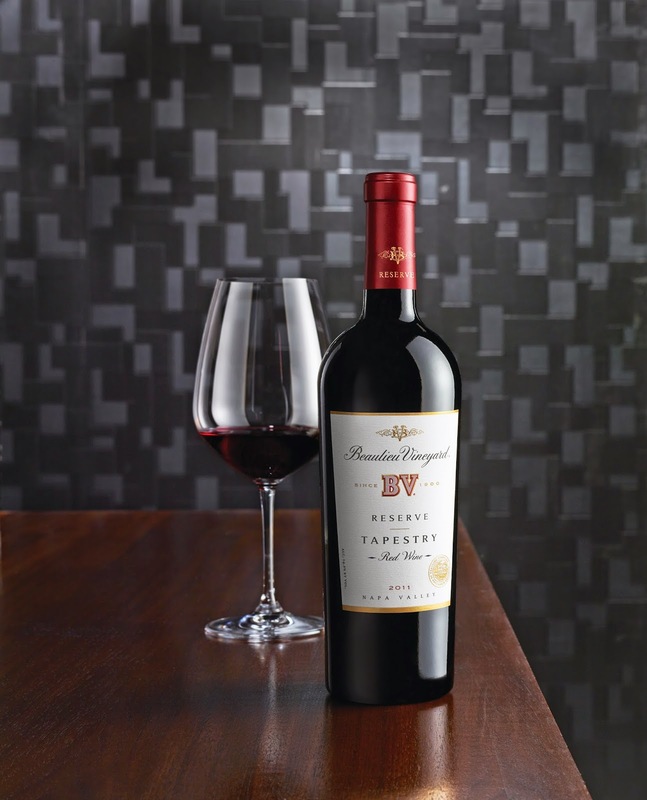 2011 BV Georges de Latour Private Reserve Cabernet Sauvignon - Now we come ot the latest release of the winery's flagship offering; this is sourced from the winery's finest vineyard on the Rutherford Bench. A blend of 94% Cabernet Sauvignon and 6% Petit Verdot (this variety adds color and spice to the wine), this was aged for 21 months in French oak, 94% of which was new. Deep ruby red; sumptuous aromas of black cherry, black currant, cassis and a hint of licorice. 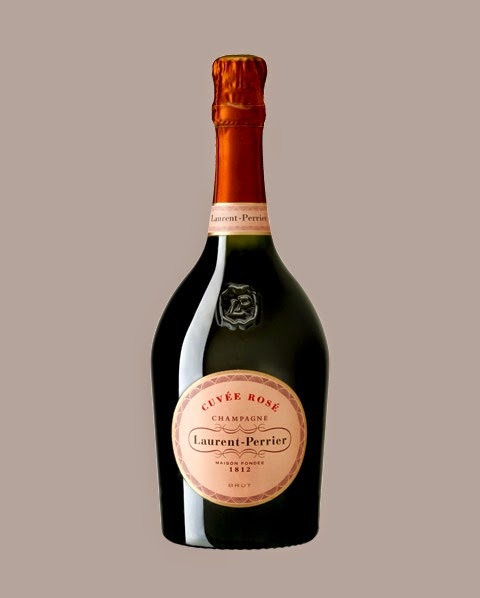 Medium-full with excellent concentration, this has a rich, layered mid-palate. Excellent persistence, good acidity, marvelous harmony and nicely tuned tannins. There are oak notes that are evident, but they take a back seat to the perfectly ripe, expressive Cabernet Sauvignon fruit. A wine of beautiful structure and breeding, this is a classy wine! This is not the most powerful Napa Valley Cabernet Sauvignon you will find, but to my way of thinking, that is a good thing, as too many examples from other Napa producers are crafted in the "bigger is better" style in order to receive a higher point rating from certain wine publications. Thank goodness that the winemakers have learned the lessons of André Tchelistcheff and have made a wine that emphasizes varietal character and balance over intensity. The wine unfolds nicely in the glass after 15-20 minutes of breathing and can be enjoyed tonight, although this will display greater complexities with time. Best in 15-20 years. ($130). How nice that BV has been producing notable examples of Cabernet Sauvignon from Napa Valley for so long. Here's hoping that they will be doing the same for another century or two! It had been far too long a wait, but I finally made it to Germany to visit wine regions. I had been on German soil, so to speak, dozens of times, but it was always to connect to a flight to Italy or back home to Chicago. How nice then that in early July, I was able to land at the Frankfurt airport and head to the baggage claim after having my passport stamped, instead of connecting to another flight! I visited two regions over the course of three days, the Rheingau and the Rheinhessen, both named for their proximity to the Rhine River. This post will be part one about my time in the Rheingau; I'll write about my experience in the Rheinhessen soon. While the Rheingau is one of the most famous and certainly one of the very best in terms of wine quality, it's also one of the smallest. The region's vineyards are situated just north of the Rhine River, taking a west to east orientation along the river. The large cities of Wiesbaden (north of the river) and Mainz (south) are at the far eastern boundaries of the region. 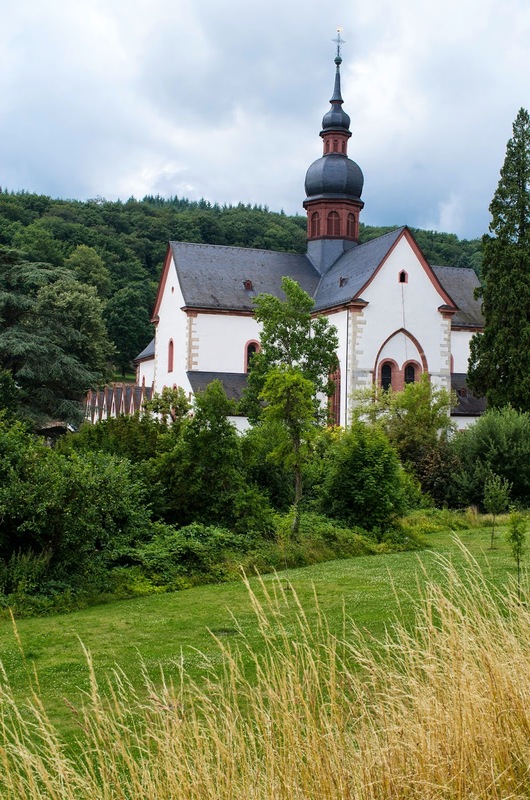 The towns that give their names to the most celebrated wines of the Rheingau are quite famous in their own right, names such as Johannisberg, Eltville, Erbach and Rauenthal, to mention just a few. 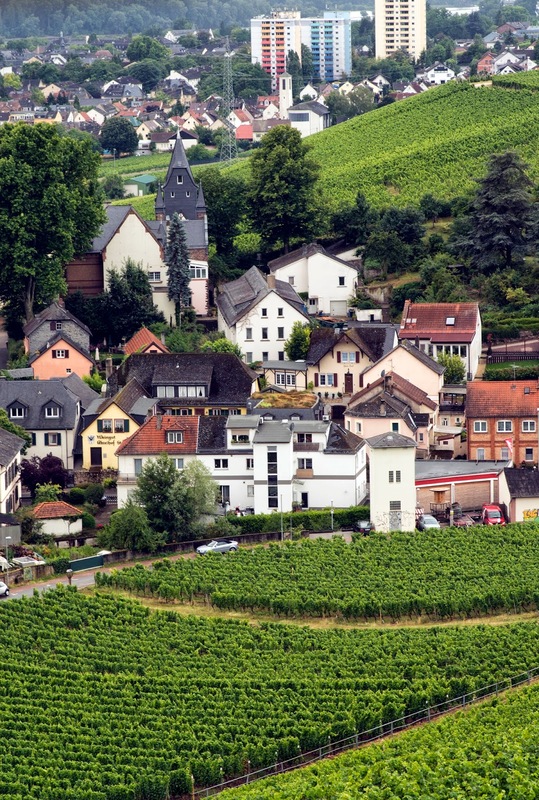 The primary grape here - as it is throughout much of Germany - is Riesling, though the village of Assmannshausen, near the junction of the Rhine and Nahe rivers, is well known for its Pinot Noirs. Some estates also produce smaller amounts of Grauburgunder- aka Grauer Burgunder (Pinot Gris) and Weissburgunder (Pinot Blanc). 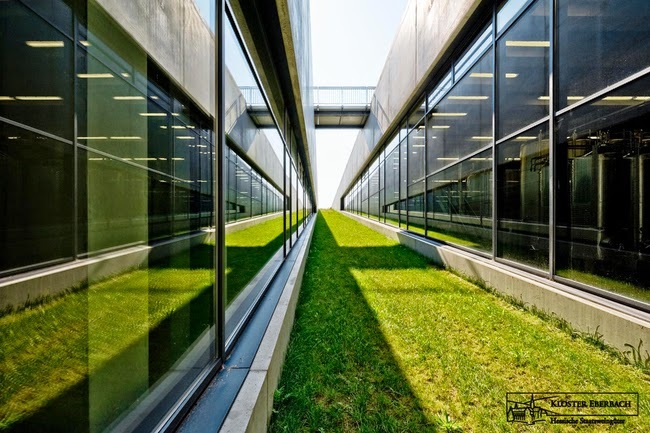 Georg Breuer (Rudesheim) - This outstanding estate, founded in 1880, has been owned by the Breuer family since the early 20th century. I met with Theresa Breuer, the granddaughter of Georg, who managed the firm for several decades. The wines here are very clean with admirable varietal purity; I was quite impressed with the 2009 Grauer Burgunder, which seemed much younger than five years old. This was a example of this variety with very fine texture, something not seen in most examples. The 2011 Spatburgunder is a pleasant wine with attractive wild cherry and iodine notes; though not meant for cellaring, this is a fine choice for the next 2-3 years. Of course, it was the Rieslings that stood out here. Especially nice is the 2013 "Charm" Riesling, sourced from grapes from both Rauenthal and Rudesheim. This is a wonderful, absolutely delicious entry level Riesling with notes of white peach, lilacs and a touch of honey. There is very good acidity - a trademark of the very fine 2013 vintage, so this should retain its freshness over the next 3-5 years. It's also a wonderful value, priced at 9.50 Euro; this was a welcome sight, as quality Riesling is not inexpensive to produce, especially in this area. One of my favorite wines at Breuer was the 2012 Rudesheim Estate Riesling with its inviting yellow peach and apricot aromas (classic Rheingau perfumes) and ripe, almost lush fruit. The wine has lovely complexity, with just a hint of sweetness and very good acidity; look for this wine to drink well for 7-10 years. Then it was on to the single vineyard Rieslings at Breuer. The top wines for me were the 2011 Rauenthaler Nonnenberg, a monopole of Breuer and the 2011 Berg Rottland Auslese. The former is designated as Trocken, meaning dry. 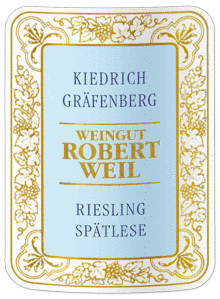 (This descriptor has been used in conjunction with the praedikat designations of Kabinett and Spatlese, e.g., in the past, but will now be listed by itself, if at all - see final section of this post below for further explanation). The Nonnenberg Trocken offers the classic yellow peach and apricot aromas along with a hint of magnolia and has a very rich mid-palate and excellent complexity and a long, long finish. Here is a beautifully precise Riesling that truly speaks of the local terroir - this should age beautifully for 10-12 years. The Berg (berg simply means "hill") Rottland Auslese has classic Rheingau aromas of apricot along with some tropical notes of mango along with flowery nuances of magnolias and lilacs. Medium-full with excellent concentration, there is also a delicate honeyed character on the palace and in the finish. This has outstanding complexity and a lengthy finish that has moderate sweetness, as there is very good acidity that cleans the palate. This is an outstanding sweet wine which can be enjoyed now, but will reveal greater complexities in 10-12 years. I also loved their 2006 Brut, a blend of the Pinots - Pinot Gris, Pinot Blanc and Pinot Noir. Most people don't realize that Germany is the world's leading producer of sparkling wine, known as sekt; fewer still realize that most of these wines are made from grapes imported from other countries. 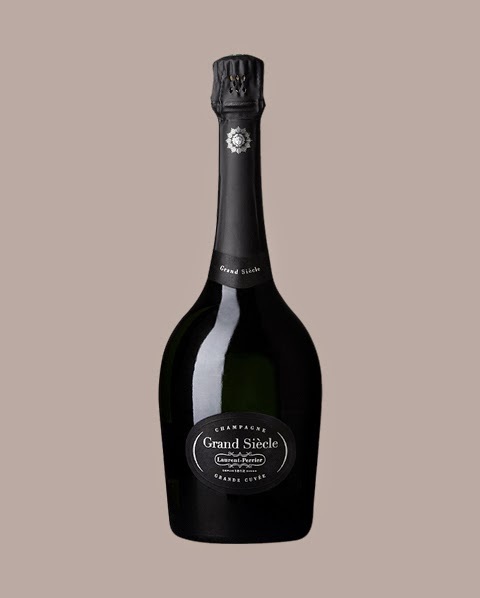 Of course, these sparkling wines are for supermarkets; they do not reflect much, if any, character. Thankfully, there are producers of sparkling wine in Germany that make wine according to the classic method, where the secondary fermentation takes place in the bottle. This is an excellent sparking wine of impressive complexity, very good persistence and style. Quite dry, this is beautifully made and will be a pleasure to drink for the next 3-5 years. 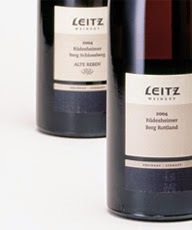 I also enjoyed the wines of Leitz, a small cellar located in Rudesheim, managed by 50 year-old Johannes Leitz, who has been at the helm here since 1985. 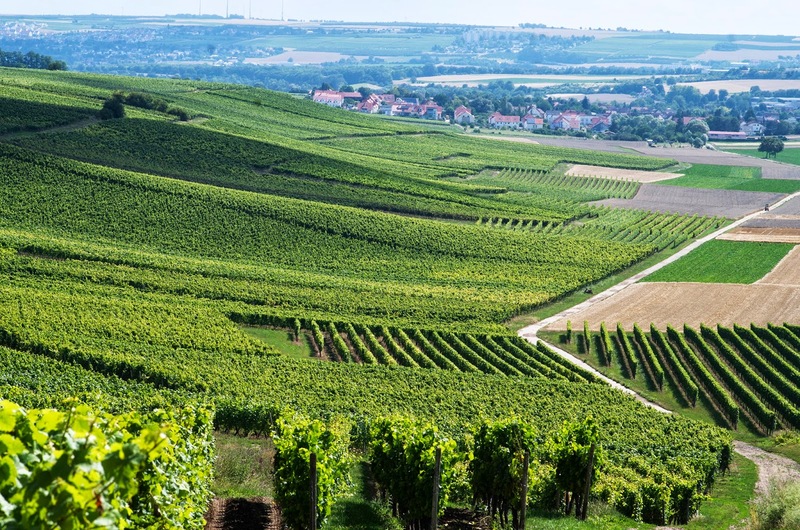 Today, the firm has 40 hectares (100 acres) of vineyards of some of the most prized sites in the Rheingau. 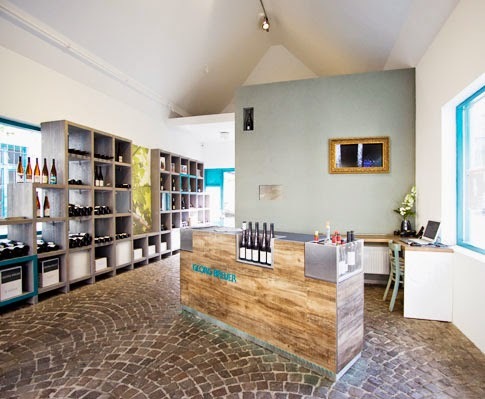 The first wine I sampled here was the cleverly titled Eins-Zwei-Dry from the 2013 vintage. A trocken Riesling, this is a straightforward and charming wine; Letiz explained the name by telling me that he wanted his customers know that Riesling can be dry (and that he produces one). It's tasty, with simple charms and at 8.50 Euro, it's nicely priced. 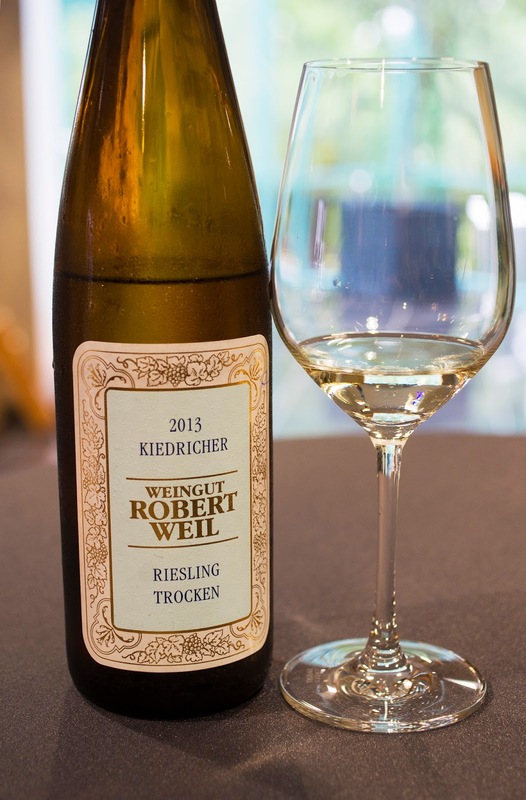 The best wines here are quite rich with a distinct minerality that the finest German Rieslings are known for. A first-rate example of that at Leitz - at least for me on this occasion - was the 2013 Rudesheimer Berg Schlossberg Riesling (trocken). 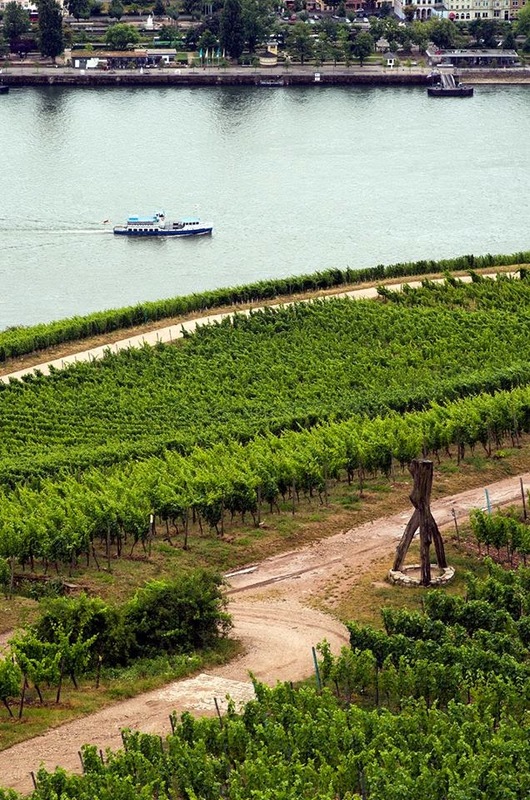 This particular site is at the far western end of the Rheingau where the river turns north; the vineyard has a southwestern exposure and sits just a few hundred feet above the river banks. Along with beautiful aromas of peach, there is also a strong note of flint, derived no doubt from the blue slate soil. Medium-full with excellent concentration, this has rich minerality, big persistence, very good acidity and excellent complexity; this should drink well for 7-10 years. Even better was the 2012 Rudesheimer Berg Roseneck Riesling Spatlese, a wine with only 8% alcohol. Offering intriguing aromas of petrol, guava and honey, this is a bright and delicious wine with a rich mid-palate, very good acidity and a lengthy finish with just a hint of sweetness. This should be in fine shape for 10-12 years more; in my opinion, this is a classic, first-rate Spatlese. One of the things I learned on this trip was the recent shift as far as labeling German wines. The trend is to move away from the Prädikat designations of the 1971 German wine law; now wines would be named by quality level - entry level, commune (town) wines and finally single vineyard wines (lage). 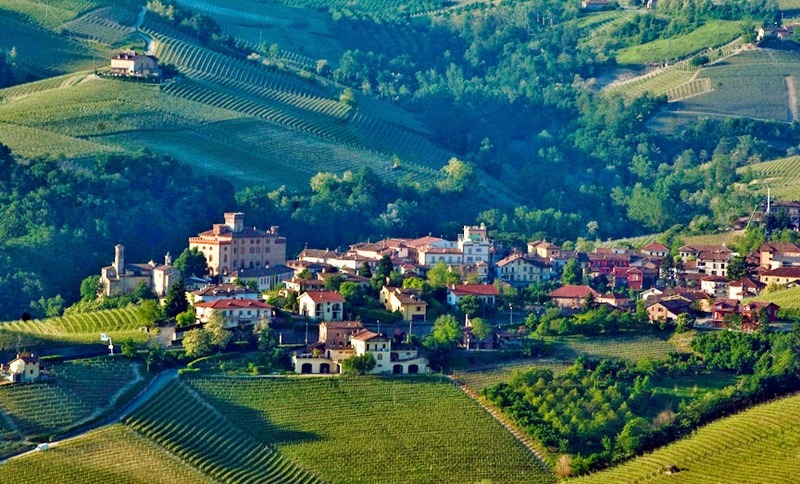 Of this last category, the absolute best vineyards, basically the Grand Cru would be known as Grosse Lage, with a few select wines being classified as Grosses Gewächs (G.G.) - great growths. 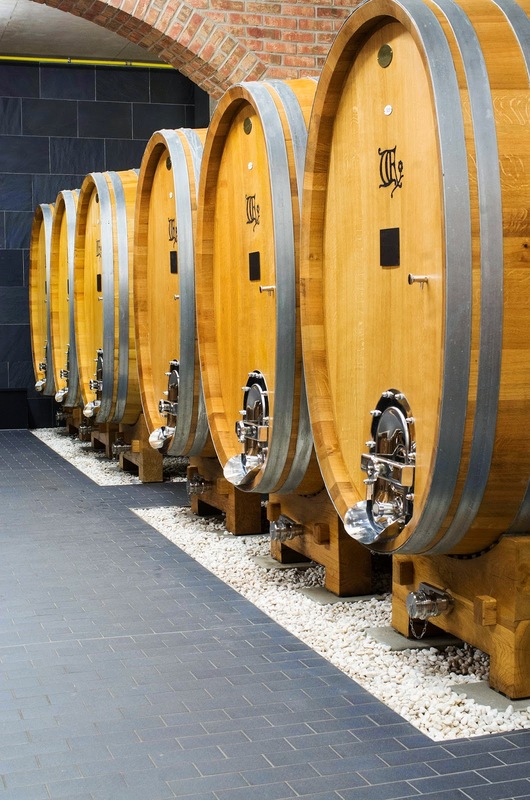 Also the term trocken is written on some wines, while not on others; the belief here from producers is that if the wine is not a Spatlese or Auslese, it is dry. Thus in their mind, their wine would not need the term trocken. Yet some producers believe it should be written on a label. 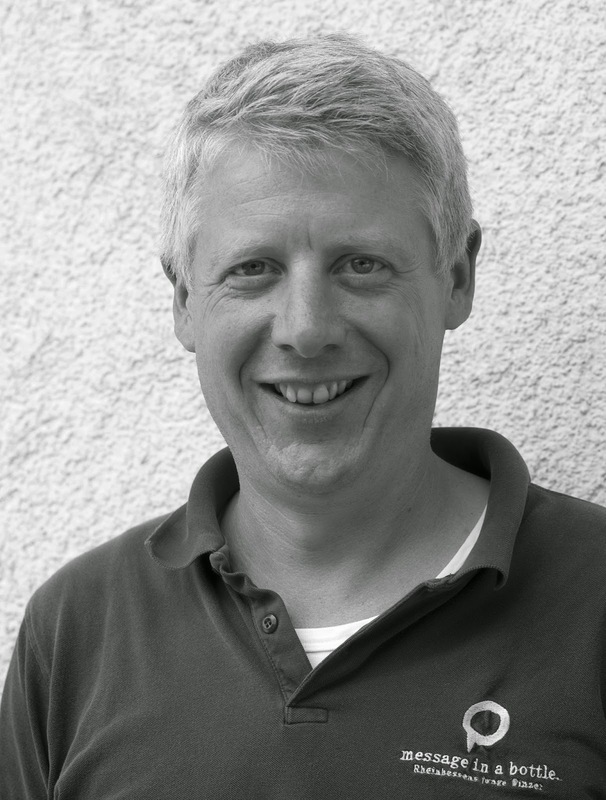 It's all a bit confusing, even for some Germans that closely follow their country's wines. Hopefully this will all be straightened out soon. In my two previous posts on Riesling (here and here), I wrote about the two most classic origins of Riesling from the Old World - Germany and Alsace. This post will deal with some favorite examples of Riesling from the New World, namely Australia, New Zealand and California. Whenever you speak about Riesling, you think of Germany and Alsace for their beautiful expressions of this grape, whether dry or sweet. They have been producing these wines for centuries, so vine age plus knowing the best sites to plant the grape along with experience - the best teacher of all - have combined to make these two areas reference points for Riesling. 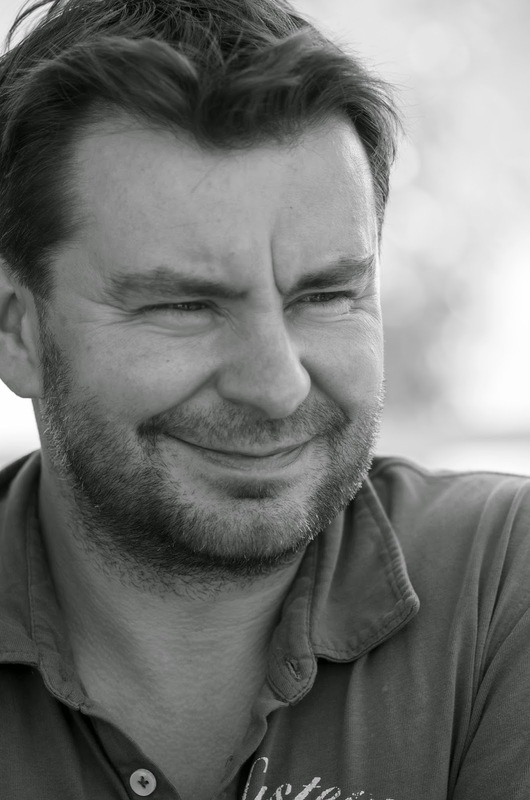 I have yet to discover a region or country that produces as many great examples of Riesling as do those two lands, but the Clare Valley in Australia comes close and in my mind, has been the home of some truly classic Rieslings. The finest example of this variety I have had outside of Germany and Alsace has been the Grosset "Polish Hill" from Clare Valley, 100 miles north of Adelaide. 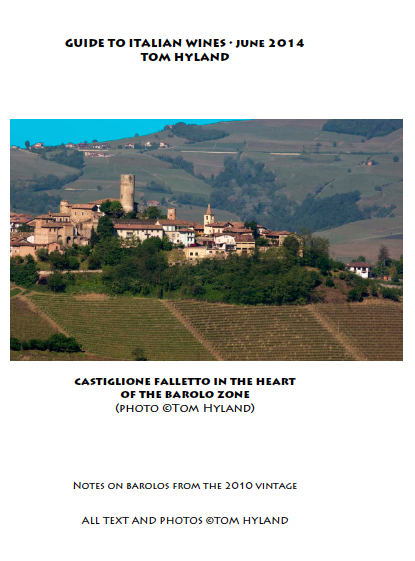 I've never enjoyed the good fortune of visiting there, so I have to rely on the firm's website about this wine, which describes the vineyard as having "silt and shallow shales over a thin crust of clay and gravel." Proprietor Jeffrey Grosset has been making this wine since 1981 and I recall quite well the lovely petrol and lime aromas, as well as the richness on the palate and texture of the wine. This is truly a great Riesling. For this post, I tasted another excellent Clare Valley Riesling from Kilikanoon (review below); I also tasted Rieslings from Western Australia, namely from the Margaret River and Frankland River Regions. The wines I tasted from Leeuwin Estate and Frankland Estate were very different in style, but both excellent. I was particularly pleased with the structure and minerality of the latter's wines. I was also delighted with another Riesling from Down Under, namely the Greywacke 2011 from the Marlborough district in New Zealand. Greywacke is the winery of Kevin Judd, who achieved fame a while back as being the winemaker at Cloudy Bay. Kevin has always made brilliant examples of Sauvignon Blanc, but his Riesling is just as memorable. From America, I've been very impressed with the Rieslings from Chateau Ste. Michelle in Washington. There are two principal releases from this producer, one the Cold Creek Vineyard offering and second the Eroica. The Cold Creek Vineyard is planted to numerous varieties - red and white - and it is quite warm, so you might not think a site that is the source for excellent examples of Cabernet Sauvignon, Merlot and Cabernet Franc would be home to lovely Rieslings, but that indeed is the case. The Eroica wine is a collaboration between Chateau Ste. Michelle and famed Mosel producer, Dr. Ernst Loosen. This is a beautiful wine, a Riesling of marvelous complexity and charm. There are a few beautiful Rieslings from California as well. Mendocino County, north of Sonoma, is a cool climate ideal for this variety; especially recommended are the examples from Handley and Greenwood Ridge from Anderson Valley and Esterlina from Cole Ranch. As for Napa Valley, Trefethen Vineyards has been producing a delicate, dry Riesling for years and then there is the legendary Stony Hill Riesling, which has become somewhat of a Holy Grail for Riesling lovers. The Finger Lakes region of upper New York State is home to more than 60 producers of Riesling. There are all styles made here with varying quality levels, but the best are excellent. For this post, I tasted a Riesling from Ravines Wines Cellars and was quite pleased. Leeuwin Estate Riesling "Art Series" 2013 (Margaret River) - Light yellow; aromas of peony, melon, petrol and elderflowers. Medium-full with very good concentration. Cleanly made, this has impressive persistence and varietal focus. Lengthy finish and lively acidity. This should drink well for another 3-5 years - excellent. ($16, a notable value). Imported by Old Bridge Cellars, Napa, CA. Frisk "Prickly" Riesling 2013 (Victoria) - I've enjoyed this Riesling for a few years now; the name comes from the fact that the wine has a prickly sensation on your tongue. Pleasing aromas of melon, white peach and elderflowers. Medium-bodied with tasty ripe fruit and a nicely structured finish with tangy acidity. Irresistible now, best fresh, but can be enjoyed over the next 3-5 years. ($10) Imported by Old Bridge Cellars. Straw/light yellow; delicate aromas of melon, lime and peony. Medium-full with very good concentration. Elegant wine with excellent varietal character. Very good persistence and acidity. Nice typicity - perhaps not as rich as some vintages, but a nice wine for enjoyment now and over the next 2-3 years. ($20) Imported by Old Bridge Cellars. 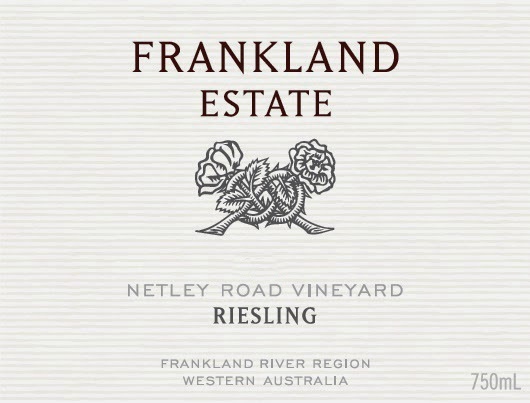 Frankland Estate Riesling "Netley Road Vineyard" 2012 (Frankland River Riesling, Western Australia): I tasted three different offerings of Riesling from this producer. The first two, the "Poison Hill Vineyard" and the "Isolation Ridge Vineyard" are very good with excellent varietal character and persistence. The "Netley Road" is the finest of the three. Brilliant straw, aromas of petrol, lime and a hint of talc powder. Medium-full with excellent concentration. Rich mid-palate, elegant entry on the palate. Lengthy, well-structured finish with excellent persistence, lively acidity and a delicate streak of minerality. Wonderful complexity and varietal character. Enjoy now (I'd love this paired with crab) or wait for greater complexities to come to the front. Peak drinking in 7-10 years. 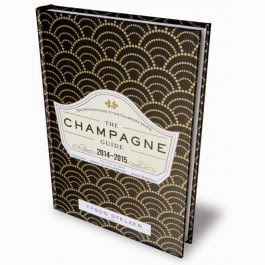 ($35, only 6000 bottles produced). Imported by Quintessential, Napa, CA. Greywacke 2011 (Marlborough) - Straw/light yellow; lovely aromas of lime, elderflowers and green apple. Medium-full with very good concentration. Vibrant acidity, excellent persistence and wonderful varietal purity with just a touch of minerality. This was the most delicious Riesling I tasted for this post. I opened it and enjoyed a few ounces each night for more than a week; it was as fresh and as tasty after a week open as it was when I first tasted it. Beautiful wine - well, done Kevin Judd! ($25) Imported by Old Bridge Cellars. Chateau Ste. Michelle Riesling "Cold Creek Vineyard" 2012 (Columbia Valley) - Beautiful straw/light yellow with delightful aromas of white peach, apricot, lilacs and chamomile. Medium-bodied with excellent concentration. Generous mid-palate, very good acidity, impressive persistence and ideal varietal purity. Absolutely delicious with perfect balance, this has just a trace of sweetness, which is balanced by the acidity, leaving a clean, satisfying finish. Enjoy over the next 2-3 years - if you can wait that long! ($18, an excellent value). (Information on the wine here). Chateau Ste. Michelle & Dr. Loosen Riesling "Eroica" 2012 (Columbia Valley) - The grapes for this wine are sourced from eight different vineyards in Washington, including Horse Heaven (Columbia Valley) and Viewcrest (Yakima Valley). Straw; lovely aromas of lime, white peach and a hint of pineapple. Lovely mid-palate and balance - very exquisite - with lovely varietal purity. Very impressive Mosel-styled Riesling with very good acidity and a nice touch of finesse. This is slightly drier than the Ste. Michelle Cold Creek Riesling. Enjoy over the next 2-3 years. ($20, a fine value). (Information on the wine here).